I've mentioned this before but this is the first time I've ever done something school related in the summer. The closest I've gotten is doing a May Study-Abroad trip but since I did that right after finishing my sophomore year it didn't entirely feel like I was on summer break at that point so I don't fully count it. Come the end of senior year once my student teaching practicum I felt like I was so far removed from school and productivity since I didn't have any finals that getting back into the routine of doing that now is a bit of a rude awakening. Over the past couple of months I have started to learn how to be more productive in the summer (despite wishing I didn't have to). I love being able to do work in my pajamas. It seems like such a luxury but when I wake up early in the morning to get stuff done before class I tend to be in no rush to leave my bed and pajamas after grabbing my cup of coffee (key point is that I already have my coffee). However, getting dressed and ready for my day definitely puts me into a more focused mindset and is worth it in the long run. While there is no way I'm putting on a pencil skirt and heels to look professional office ready putting on a cute outfit or even just taking the time to do my makeup makes a big difference. This makes me treat whatever I have to do with a bit of a more serious attitude which helps me to better tackle the task at hand. 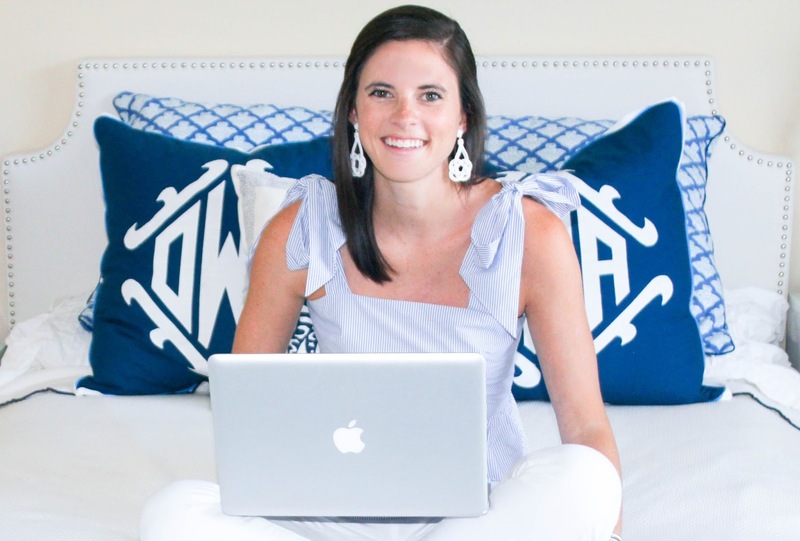 If you didn't see last week's post about What It's Like To Be Friends With A Blogger then you amy not have picked up on the subtle jab from my friends about how early I was up (and sometimes how late I stay up but I'm working on that). This summer I have forced myself into making an early wake up a part of my routine. I know that I am most productive in the morning and I do my very best to take advantage of that. I know that I'll have about an hour and a half of solid work time before class to get things done which has certainly helped with my productivity. Knowing when you work best will definitely help you to be more productive as you can hopefully structure your schedule (which will eventually become your routine) around that! Hi my name is Dorothy and when I wake up at 5:00 I usually let myself do work in bed until 6:00...So now that we've established that I am a walking contradiction do as you please with this knowledge. The one thing I wanted in my new apartment was to be able to have a desk in my room and I can't begin to reiterate how much more productive I am at that designated workspace than in our living room (or in my bed). Having everything I need within arms reach eliminates distractions and better helps me to crank out work. Be sure that wherever your workspace may be that you are able to eliminate distracting things from your reach to capitalize on the time you have there. Starting a project that you know is going to take a while to complete can be very overwhelming. As much as I'd love to be able to sit down and knock it all out at once sometimes I just don't have that luxury. While I don't necessarily work best under pressure I've found that I am more productive when I know how long I'll be doing something. With that in mind I've learned to time myself for about 30 minutes at a time with no distraction to attempt to get as much done as I can within that time frame. The key to this is making sure that you're working nonstop from the time you set your alarm to when it goes off and rewarding yourself with a quick brain break afterwards! It is summer after all, you deserve a break just for having to be productive in the summer! Whether it's a workout to clear your mind, a snack break with friends, or even a drive to a different location breaks are essential. If you go from start to finish without breaks you won't have time to really think through different aspects of things you're looking to accomplish meaning that your work may not be of the highest quality. By stepping away you are giving your brain a chance to regroup and process your ideas which will hopefully help you to be more productive the next time you sit down to get work done. 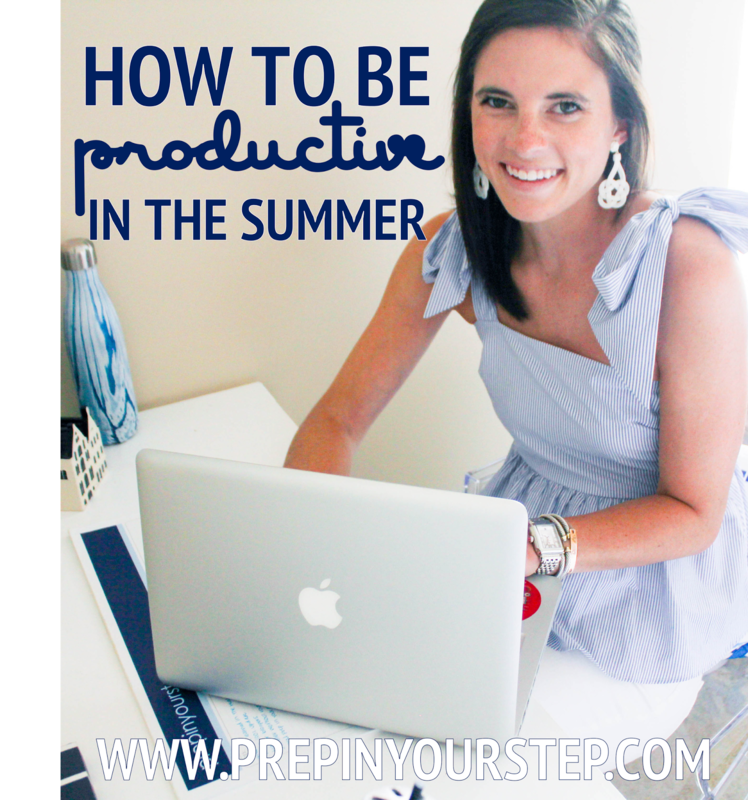 I'd love to hear your tips on being productive in the summer! Getting ready helps me be productive too! Even if it's just changing from pjs into sweats having my makeup done makes a difference in my productivity. When I still had summer holidays, I was a sloth and basically did nothing. Your summer sounds like a plan! I wish I'd created a routine back during breaks in high school and even university! These tips were all so helpful! I also love this top and your earrings together! This is great advice for anyone who is not going into an office or classroom on a regular basis. It is about establishing some routines and accountability that keep you moving forward. Love it! Love these tips! Having a routine helps me so much, especially in the summer months!